The stories of two women we have lived with for decades are arriving in the midst of the #Metoo movement. They once seemed the epitome of strong, brave role models. But we now get fuller pictures, filled with self-doubts and men who loved them but also demeaned them and left them seeking more respect. And ultimately, independence. Sally Field’s memoir has just been released, welcomed with positive reviews. At the same time, a two-hour documentary on the life (or lives) of Jane Fonda has premiered on HBO. 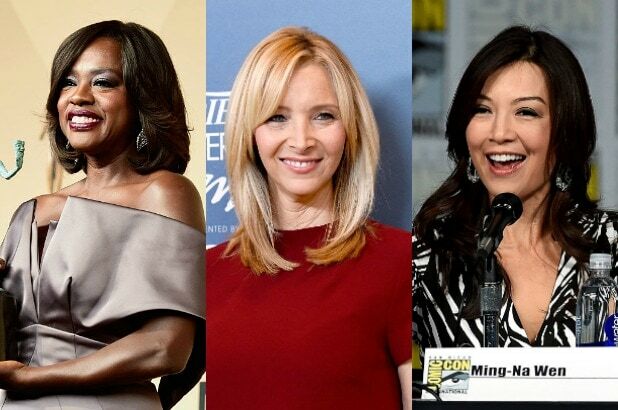 Yet more accolades for the actresses, who have never worked together but are good friends. Small wonder, as the parallels between their histories are uncanny. They are women we have admired for their work, their longevity and their willingness to stretch. Now, after we have watched, and read, their painfully honest stories, they earn our sympathy as well. A good part of Field’s book, “In Pieces,” deals with sexual abuse by her stepfather. Fonda’s story is colored by her father’s limited emotional ability. Between the two, they have had five divorces and other broken relationships. They were often as accomplished as their mates, but always made to feel subservient. Though there was one man who, arguably, saved them both, and paved the way for their two-time Oscar-winning careers. Strasberg asked why she — who was working regularly, unlike most his students — was there. She explained she was ready to learn to act, and she became one of his most devoted and praised followers. Fonda was doing superficial dizzy parts as a very young woman when she knocked on Strasberg’s door and asked if she could give his classes a try. She hid in the back of the studio for months before finally tackling a scene. The master teacher told her she had real talent and those words proved the necessary encouragement. Nevertheless, both women dealt with lifelong personal insecurities. They struggled on the physical front. Field ate emotionally, went up and down, while Fonda purged and binged and almost starved for decades. They both juggled careers with motherhood and were left with recurring regrets. “I wanted my daughter to know why I wasn’t a better parent…I get so sad,” says Fonda in the documentary. “I cannot fool myself into thinking that I have been a perfect parent,” writes Field. For whatever reason, they spent most of their lives feeling they weren’t good enough. “If I’m not perfect, no one can love me,” was Fonda’s mantra for much of her life. Field was mocked for her “You like me!” Oscar speech. But reading the book, those words become more understandable. The women were clearly influenced by the men in their lives but both Field’s book and the Fonda film end with the stars’ each trying to come to terms with misunderstood mothers. Fonda was never told that hers had committed suicide, later learning the news in a magazine. Only recently did she discover that “my mother was the life of the party” (until her bipolar disorder kicked in) — and that helped Fonda immensely. “The defining moment of Jane’s life was the death of her mother,” says Paula Weinstein, the actress’ best friend. Field and Fonda’s careers have been close to exemplary, often brave. Field fought past her sitcom persona. She returned to the medium for stellar works like “Sybil” (for which she won an Emmy) and much later, the series “Brothers and Sisters” (for which she also won an Emmy). She did a few Broadway shows and has just announced she’ll be performing in Arthur Miller’s “All My Sons” in London next year. Resonant is a key word here. 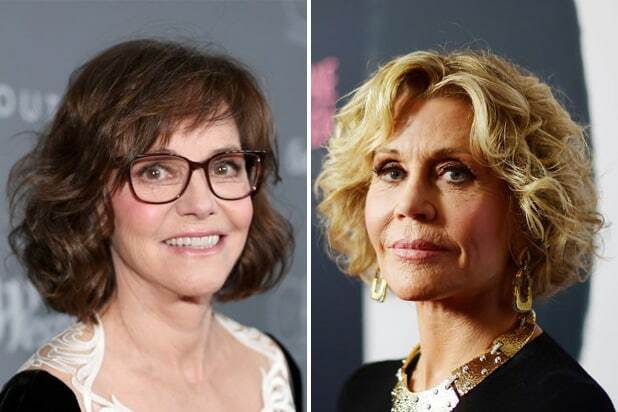 Sally Field and Jane Fonda seemed to have all the things many of us dream of, and yet by baring all, as now-single women, they have somehow become entirely relatable. #ThemToo.